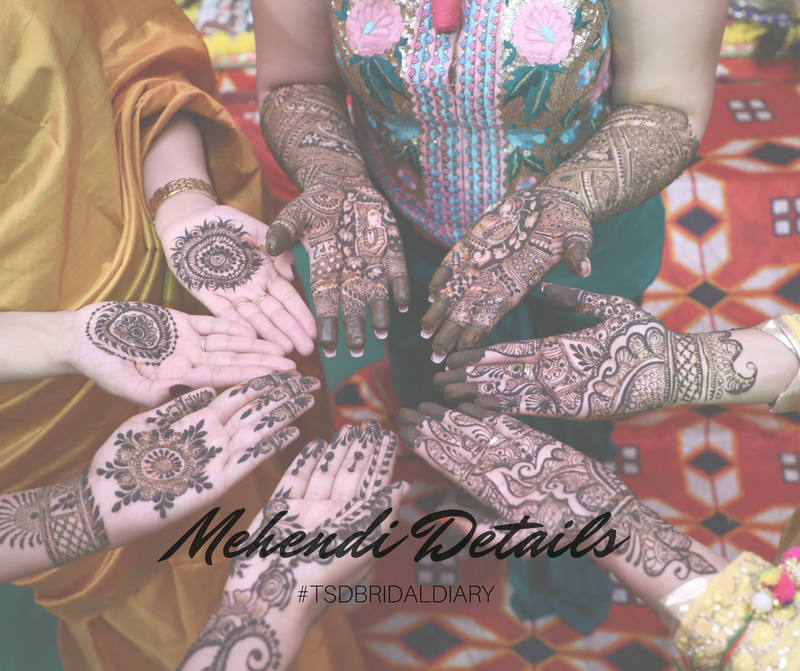 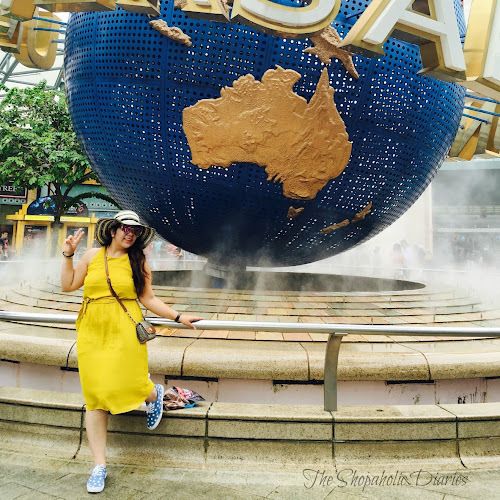 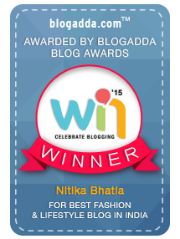 The Mehendi - Decor, Mehendi Design, Outfit and more | #TSDBridalDiary | The Shopaholic Diaries - Indian Fashion, Shopping and Lifestyle Blog ! I am glad that you are enjoying my bridal diary and as many of you wanted to know more details about my mehendi function, in this post I will be covering the same. 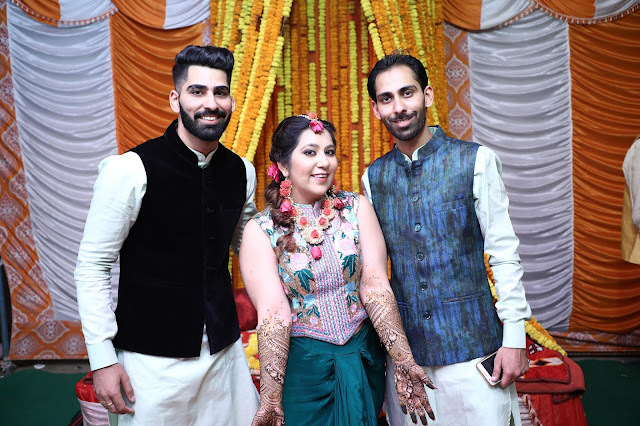 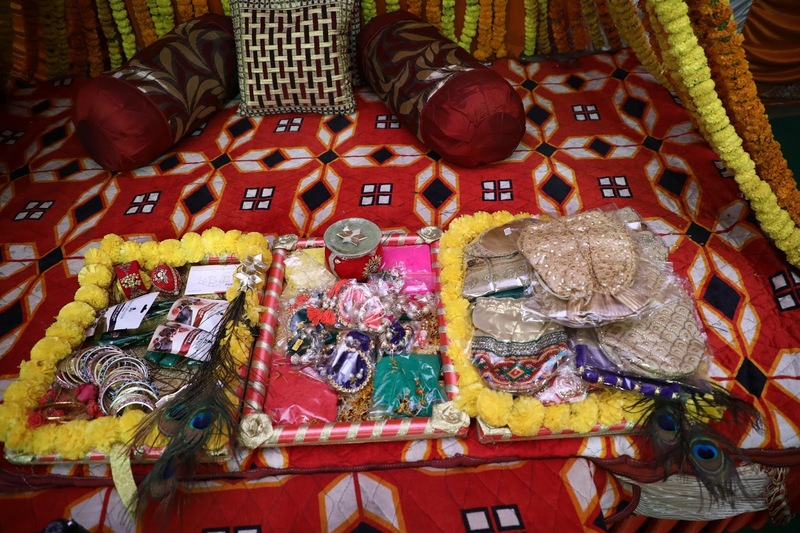 As my family and friends had traveled from Ludhiana for the wedding celebrations in Gurgaon, we had booked a guest house for everyone and decided to have a cozy Mehendi function there itself. 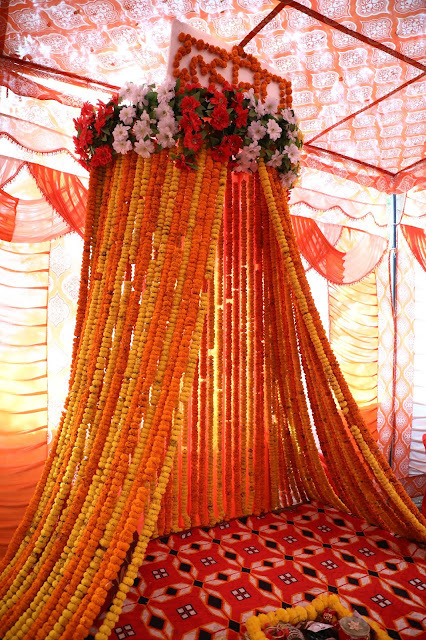 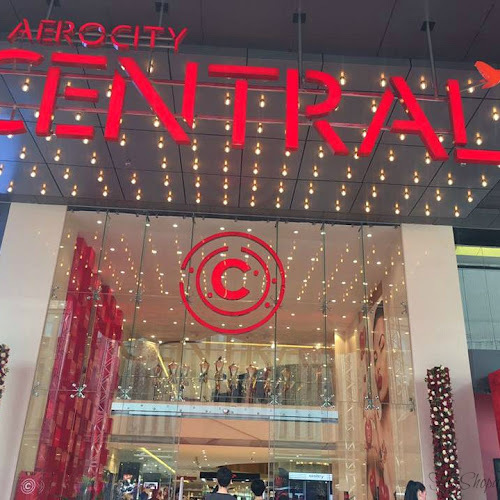 I wanted the function to be casual so that all my friends and family who have traveled from so far could have a gala time without any formalities. Decor : Considering the space constraints we had at the guest house, I wanted to keep the decor minimal, however with a traditional vibe, therefore - I got a bridal stage done which also served as a Photo Booth for pictures with my friends. Mehendi : I decided to have two mehendi vendors - one for my bridal mehendi and another one for my guests - so that they don't have to wait while I get my mehendi applied for 3-4 hours straight. 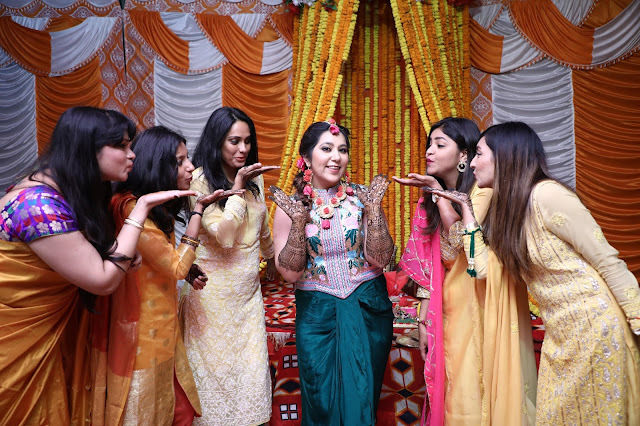 This also helped in a way as all the guests got done with their Mehendi when I did, and we could enjoy the rest of the function with ease. 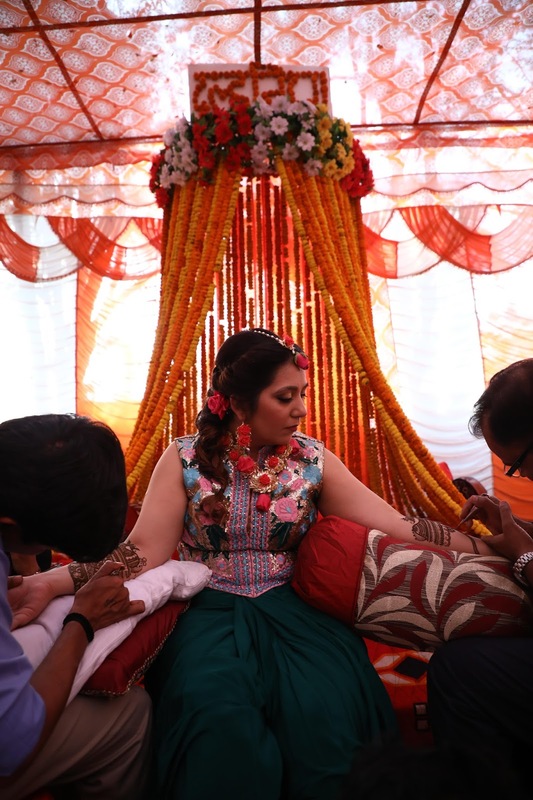 For the mehendi design, I wanted a traditional yet modern design which was beautifully done by Raju Mehendi Artist from GK. After month long of checking out various mehendi artists online, I ended up visiting him in GK and after checking out the real designs done by them - I finalised them in one go and thankfully, they did a beautiful job in delivering the design that I wanted. 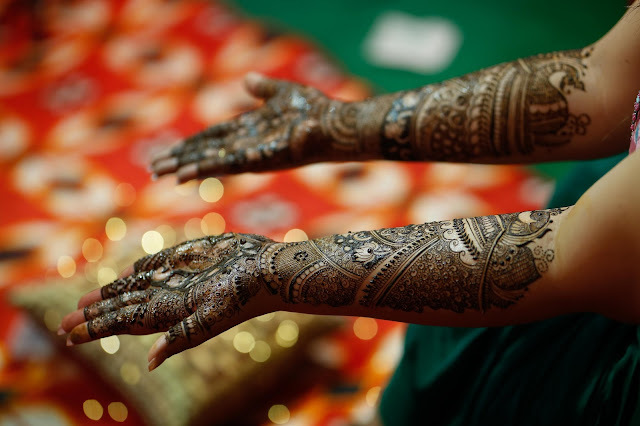 For my feet, I didn't want a lot of mehendi as honestly I think its a waste as you don't even see mehendi on the feet once you are in your bridal lehenga. 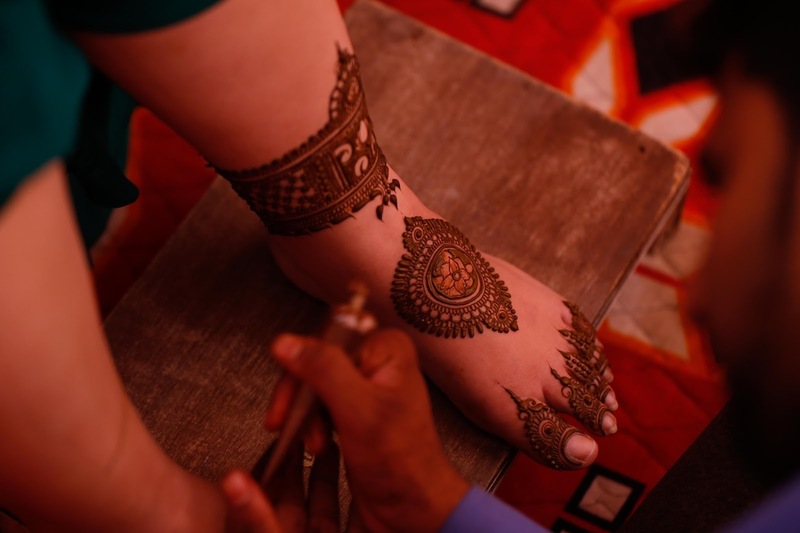 Therefore, I went for this circular motif and an anklet design which looked beautiful in my bridal pictures. 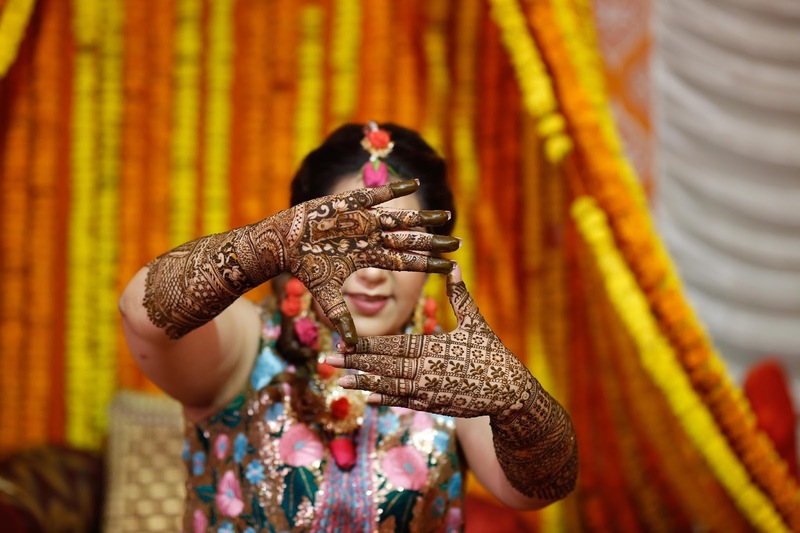 As I shared in the previous post, I didn't want to wear a lehenga for the function as walking around in a lehenga with mehendi applied would have been really difficult. 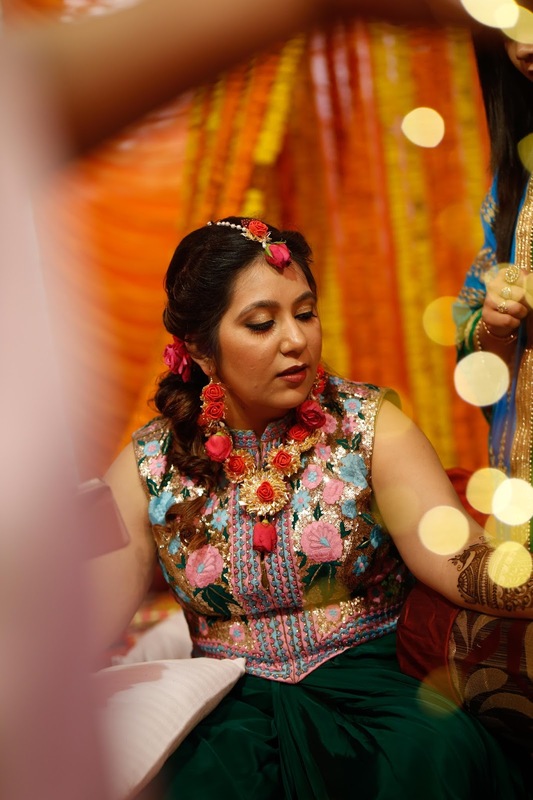 Therefore, I decided to go for an embroidered jacket blouse paired with a draped dhoti skirt that had a Punjabi touch to it as well. 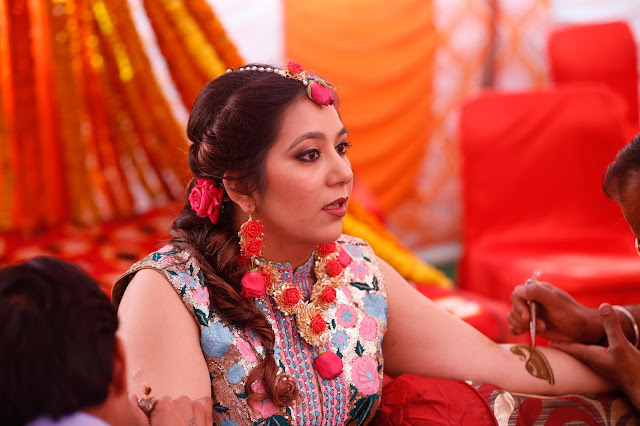 Also, you don't want your hair open at the mehendi function (for obvious reasons, who's going to manage the hair with mehendi-filled hands) - so this messy side braid was the perfect option and I was glad that it looked beautiful with the outfit as well. 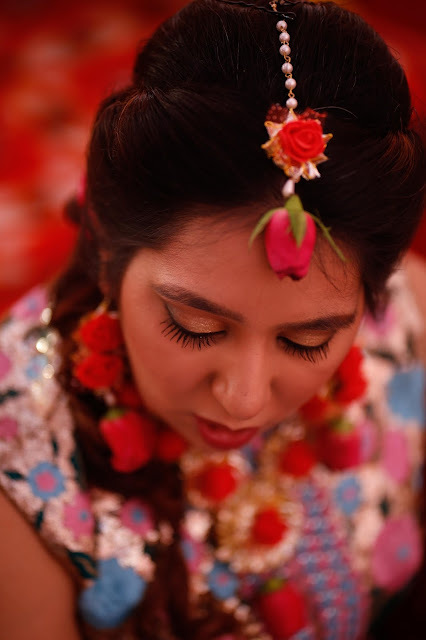 The gota-patti jewellery with roses was picked by my mother-in-law for me and I especially loved the maang-tikka that complimented my hair-do. 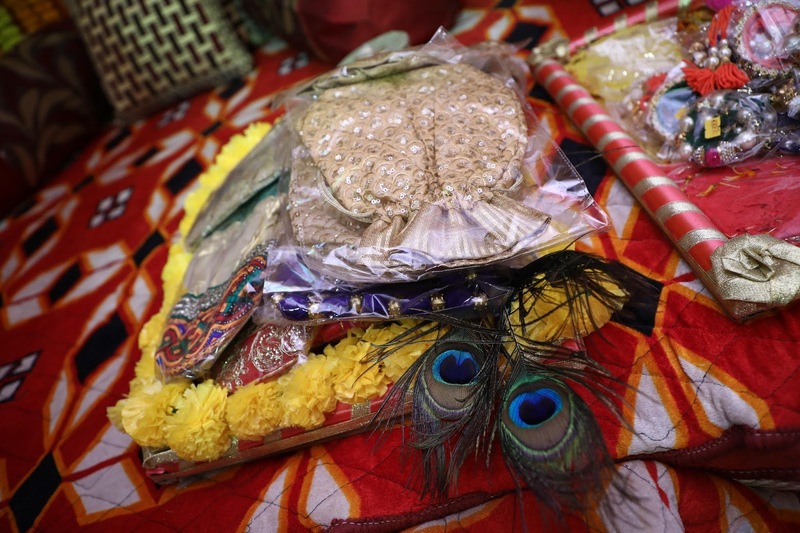 For the mehendi favours for my friends and family, I picked traditional potli bags and beaded bracelets that they could pair with their outfits.